The CCNP Certification Training Bundle contains 3 training courses, preparing you for the CCNP Routing & Switching certification. The CCNP certification is one of the highest level credentials Cisco offers, preparing you for positions as a Network Engineer, System Engineer, Network Administrator and many other positions. You will be proficient in advanced IP addressing and routing in implementing scalable and highly secure Cisco routers that are connected to LANs, WANs, and IPv6. In the CCNP Routing & Switching program you will learn the necessary information needed to become an expert in Cisco technology, most specifically Cisco routing and switching. Upon completion, you will have an expertise in IP configuration, EIGRP, VLAN’s and Trunking, LAN and WAN protocols as well as many other topics. The CCNP is one of Cisco’s highest ranking certifications and commands a substantial salary in the marketplace. Once you are CCNP certified, you will be qualified for a variety of networking related positions; including but not limited to, Network Engineer, System Administrator, LAN Engineer and many others. Having the CCNP certification will provide you with a valuable advantage in the marketplace to attain high paying IT positions in the networking sector of the technology field. You will also be able to login via virtual machines to a live infrastructure and practice on live environments. Live Labs provide a true “hands-on” experience, right from the comfort of one’s home or office. You will have full access to a variety of preconfigured virtual exercises as well as the ability to practice without restriction on the lab equipment. In today’s world of complex IT systems and technologies it is essential that IT professionals are able to demonstrate how to use and understand vendor products and software. Using Live Labs allow students to develop their practical IT skills in a safe working environment without the need to invest in your own hardware and software. Upon completion of this program, you will be prepared for the Cisco Certified Network Professional (CCNP) Routing and Switching Certification Exams 300-101 ROUTE, 300-115 SWITCH, and 300-135 TSHOOT. The registration fee for these exams are included with the program. You will need a valid Cisco CCNA Routing and Switching certification or any Cisco CCIE certification can act as a prerequisite to take the exams. For CCNP certification requirements please click here. Rafiq Wayani has extensive experience including more than 20 years in IT as a Systems Architect, Software Engineer, DBA and Project Manager. He has instructed in a variety of technical areas, and has designed and implemented network and information systems. Bringing nearly 30 years of advanced IT experience to each course and adding his unique perspective and “real world” tips, Rafiq has a knack for making complex topics easy to understand. In addition to being an engaging IT and networking instructor, Rafiq has extensive experience as a Systems Architect, Software Engineer, Database Administrator, and Project Manager. Rafiq holds multiple professional IT certifications including Cisco CCNA, CCNP, CCDA, CCDP, Microsoft Solutions Developer, Systems Engineer, Application Developer, Database Administrator, Master Certified Netware Engineer, CompTIA A+, Microsoft certifications: MCP, MCSE, MCDBA, MCSD, and MCT. With his IT background and impressive list of credentials, Rafiq is proven and qualified to both teach and author courses on numerous IT topics including Microsoft, Linux, VMware, Active Directory, Oracle, SQL Server, .NET and many more. Upon successful completion of the program, you will be awarded a certificate of completion. 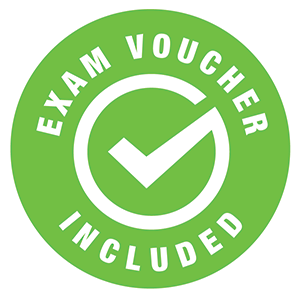 In addition, you will receive exam vouchers for the Cisco Certified Network Professional (CCNP) Routing and Switching Certification Exams 300-101 ROUTE, 300-115 SWITCH, and 300-135 TSHOOT after successful completion of the program and financial obligation. This program will prepare you for the Cisco Certified Network Professional (CCNP) exam and you will receive an exam voucher after successful completion of the program and financial obligation.